Ned Rothenberg and Samm Bennett have a long history of collaboration, most notably in the seminal downtown band of the late 1980s, Semantics, along with guitarist Elliott Sharp. In 1996 Bennett relocated from New York City to Tokyo, where he works with some of Japans leading musicians. As Rothenberg is a frequent visitor and performer on the Tokyo scene, they have joined with guitarist (and leader of the acclaimed improvising power trio Altered States) Uchihashi Kazuhisa to form R.U.B.  and with a bit of wordplay they offer their premier release Are You Be. 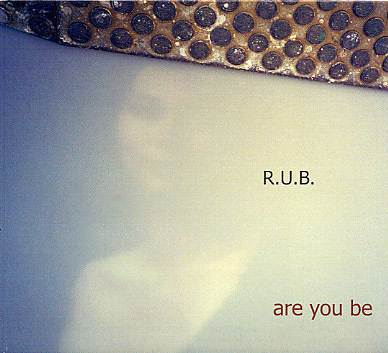 Recorded in Tokyo in February 2002, Are You Be mixes live improvising, compositions from each player, slippery sonic textures and hard grooves into a wide-ranging but focused presentation. The music moves from driving garage-jazz to intricate polyrhythmic electronica to somber atmospheric narratives, yet retains a band sound throughout. With Are You Be, Bennett, Uchihashi and Rothenberg have brought their unique strengths and highly individual artistic perspectives to bear on 13 exciting tracks, essential listening for those who like their records consistently interesting and deliciously unpredictable. And for those who don't - hey, just turn on the radio! Click here or on the cover JPG above to connect to Roulette's site for credit card purchase. Or go to Downtown Music Gallery, where you can buy it in any way imaginable! Samm Bennett is a creator of electronic music, drummer and percussionist. He has long maintained an interest in sampling and electronic instruments, and has often combined electronics with his drum and percussion playing in a wide range of musical settings. Much of his work is characterized by propulsive, multi-directional rhythm and a love of rich and varied sonic textures. He has recorded and performed with the groups BOSHO, SEMANTICS, CARBON, DOUBLE BAND, George Cartwright's CURLEW, Umezu Kazutoki's FIRST DESERTER (with Wayne Horvitz, Marc Ribot and Tom Cora), John Zorn's "HWANG CHIN-EE", Okinawan singer/sanshin player Daiku Tetsuhiro, singer HACO, country-blues unit the KROPOTKINS, noise-guitar legend Haino Keiji, Korean hojok master and shaman Kim Suk Chul, as well as with his own group CHUNK. Bennett's main ongoing project is SKIST, a duo with singer and electronic sound creator Haruna Ito. SKIST tracks have appeared on compilations from labels such as Mille Plateaux, FatCat and Luaka Bop, and their first full length CD "Ellipsis" was released in Japan in September 2002 on their own POLARITY label. 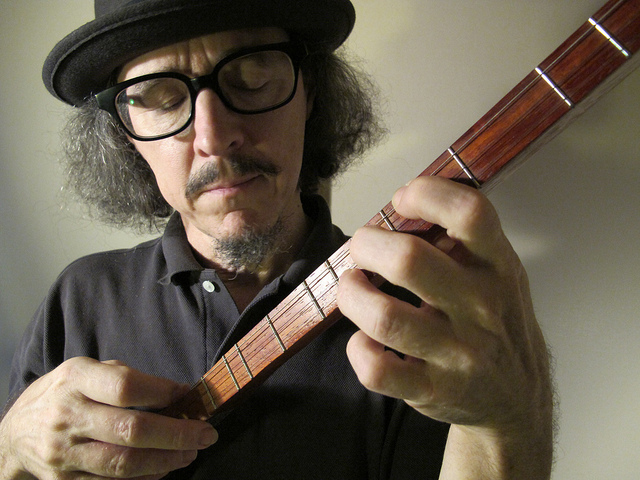 Very active in the field of improvised music over the years, Bennett has performed and recorded with players including Eugene Chadbourne, shamisen virtuoso Tanaka Yumiko, Zeena Parkins, Shelley Hirsch, ondes-martenot master Harada Takashi, Otomo Yoshihide, Christian Marclay and many others. He was co-founder, along with the late Tom Cora, of the group THIRD PERSON, an improvising trio which always featured a different guest member. Born and raised in Birmingham, Alabama, Bennett has lived in Boston, Massachusetts, Benin City, Nigeria, Brussels, Belgium and Brooklyn, New York, before moving in 1996 to Tokyo, where he now resides. Click here for Samm's fantastic new Polarity Records site! He has worked with improvisers Fred Frith, Tom Cora, Barre Phillips, Kang Tae Hwan, Peter Brotzman, Derek Bailey, Steve Beresford, Jon Rose, Zeena Parkins, Elliott Sharp, Eugene Chadbourne, Henry Kaiser, Chris Cutler, Hans Reichel, Charles Hayward, Han Bennink, Shelley Hirsch, GURU GURU and many others. For twelve years he has been leader of the rock-oriented improvising trio ALTERED STATES. He has composed music for film and dance, and has been the sole musical director and composer for the noted Japanese theatre group ISHINHA for more than 15 years. Since 1995 he has directed the monthly New Music Action Workshop for young improvisers in Kobe, a project he now continues in Tokyo and in other cities across Japan. He is also the organizer of the annual new music event Festival Beyond Innocence (FBI), started in Kobe in 1996 and now taking place in Osaka.